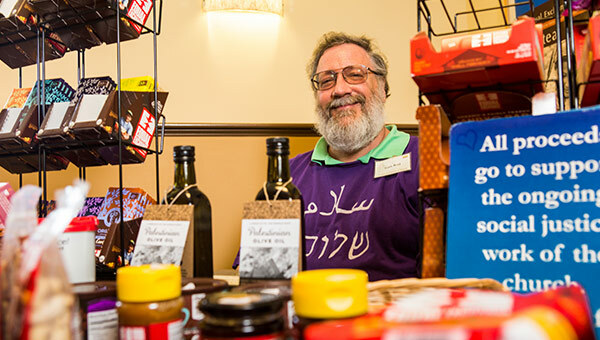 Started in 2001, the UUSC Fair Trade Project is a collaboration between Equal Exchange and the Unitarian Universalist Service Committee to involve more Unitarians in supporting small farmers around the world. Fair trade ensures that farmers are paid a fair price for their goods. Through fair trade, farmers and their families stay on their land and care for the environment. Working in democratically-run cooperatives, small-scale farmers gain control of their own livelihoods and make strides together in organic agriculture and quality control. With the added income from fair trade, farmers invest in education and social services for their communities. Through the UUSC Fair Trade Project, you get access to Organic, fairly-traded products at discounted wholesale case prices, ensuring that more of the money you spend on coffee, tea, chocolate and other products reaches the hardworking farmers who actually grow them. UUSC works with Equal Exchange to bring you high-quality coffee, tea and cocoa products — always paying farmers fairly. You can order over the phone, or by making an account for your congregation on our web store. Make sure to select "UUSC Coffee" from the "Coffee Project" drop down menu during registration — each purchase you make earns credit for the Unitarian Universalist Service Committee. And you'll save every day when you order by the wholesale case as well as accumulate rewards as part of the program. There are many ways to share these delicious products in your community. Raise money for good causes at your congregation. The Unitarian Universalist Service Committee (UUSC) is a nonsectarian human rights organization powered by grassroots collaboration. They work anywhere rights are threatened — by natural disasters, armed conflicts, genocide, forced migration, and systematic injustice. 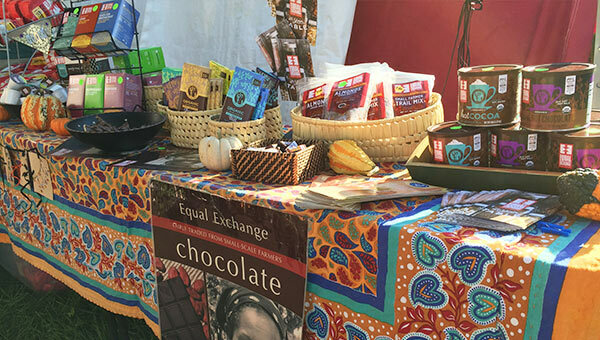 Buy Equal Exchange fair trade products for your home and as gifts at The Good Buy, UUSC's online marketplace, or purchase items by the case at wholesale prices for your congregation through Equal Exchange's webstore. 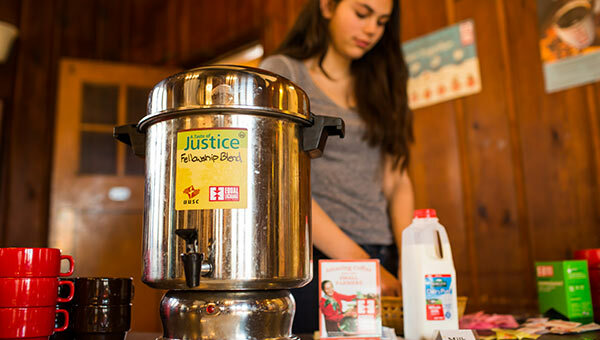 For every pound fairly traded coffee, tea, chocolate, and other products you buy through the UUSC Fair Trade project, $0.20 is donated to a Small Farmer Fund. In addition to supporting the farmer coops that supply Equal Exchange's products, UUSC uses the Small Farmer Fund to build sustainable livelihoods and advance human rights of other cooperative groups, particularly the rights of women, youth, and indigenous people. That Fund amounted to $8,777.89 in 2018. You can read about some of the projects related to the UUSC Small Farmer Fund here. Order UUSC Fair Trade Project brochures, stickers or posters. 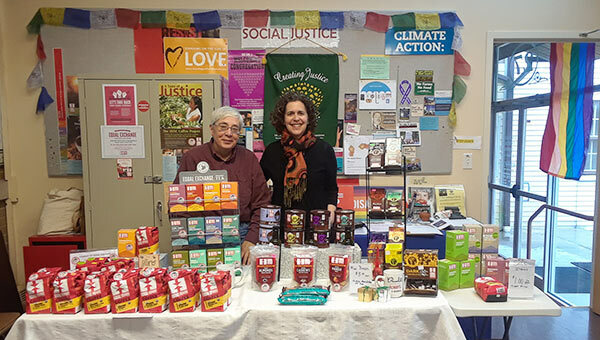 Want information about how you can get involved with Equal Exchange and the Unitarian Universalist Service Committee Fair Trade Project? 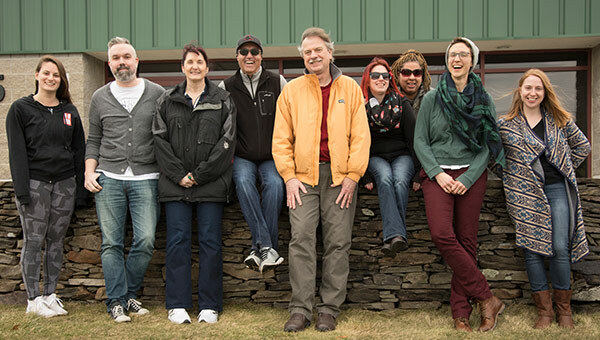 We'll send you an introductory mailer, and add you to our biweekly newsletter to share farmer stories, updates, and coupons.